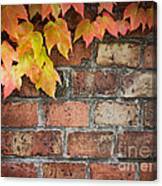 Ivy Over Brick Wall by Mythja Photography - 10.000" x 7.375"
Ivy Over Brick Wall framed print by Mythja Photography. Bring your print to life with hundreds of different frame and mat combinations. Our framed prints are assembled, packaged, and shipped by our expert framing staff and delivered "ready to hang" with pre-attached hanging wire, mounting hooks, and nails. 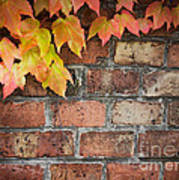 Poison ivy in autumn. 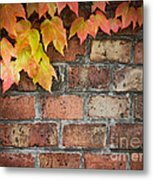 Background Coloful ivy leaves over old brick wall with copyspace. Hello and welcome to Mythja Photography. I am freelance photographer and graphic artist. I accompany everyday life and my hobbies with Canon camera and various lenses. I often combine photography with illustration or do other photo manipulations. I love photographing wide range of subjects like still life, food, nature and animals and I love experimenting with various styles and techniques of processing. You can also find me on Facebook My Website Thank you for visiting.